St. Mary's High School is an excellent site to be at for a clinical placement. There is a lot of room for creative and critical thinking. My preceptor, Bridget Quirk MAT, ATC, is a very intelligent person and a great athletic trainer and I hope to soak up as much knowledge from her that I can before I leave. 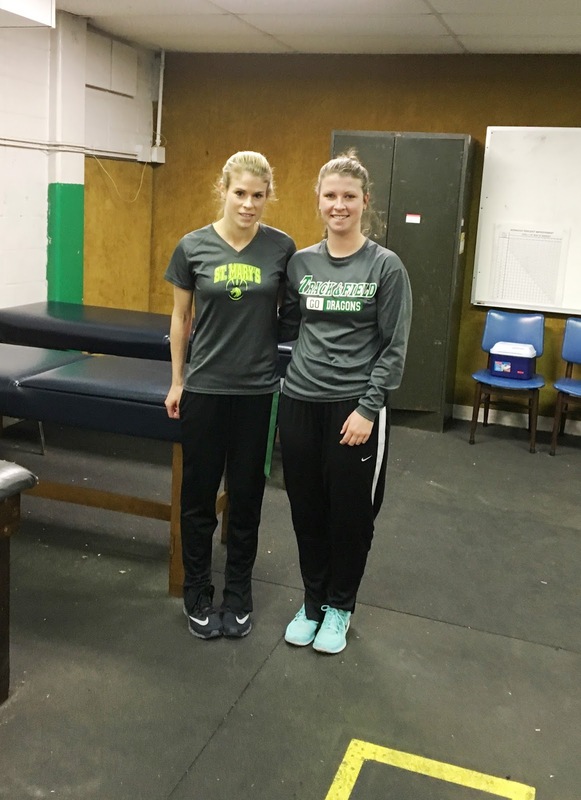 This is the first year that this school has had their very own full-time athletic trainer. Bridget does an excellent job with facilitating and implementing processes that have never been done before and figuring out what will work best for the school through trial and error. St. Mary's staff is very willing to work with her and they all form a wonderful team because everyone sees what is best in the end; that is the safety and wellness of the athletes. It is a great process to be a part of and a wonderful experience to be able to see these things take place. My time here has given me knowledge of how to go about implementing different ideas if I am ever put in the position where processes need to be started. Hopefully, if this happened I would have the support and trust from the staff wherever I am, like at St. Mary's gives Bridget. This was a great place to finish up my clinical experiences as a student and will help me wherever I end up after graduation.